Since 2006, I have been running the Animal Cognition Network, a website which compiles links to recent scientific articles in animal cognition. Some of the topics covered in the website include sensory mechanisms, development of cognition, decision-making, neuroethology, social cognition, tool use, planning, empathy and theory of mind in animals. I welcome suggestions about the website. 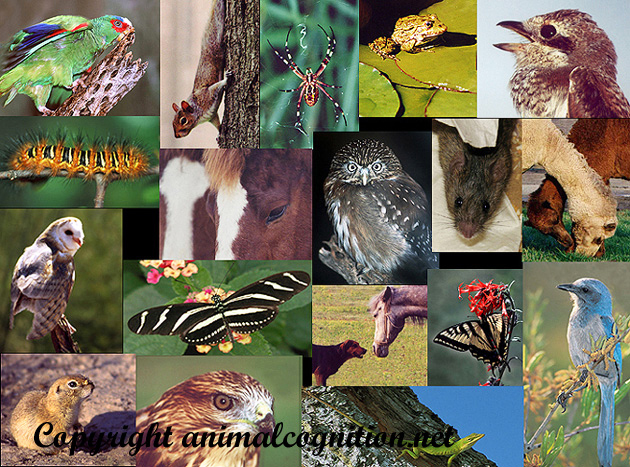 Please contact me directly at animal.cognition@gmail.com if you have suggestions on additional scientific articles, scientific journals, and books written by scientists who study animal cognition.